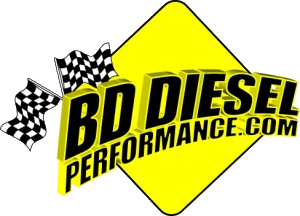 OC DIESEL offers a huge selection of BD Power Products that can be used on Dodge, Ford, and Chevy Diesel Trucks. BD became popular when they introduced the first Exhaust brake compatible with Diesel pick-up trucks, but BD has all sorts of aftermarket products now specializing in power train components. With products ranging from air intakes, exhaust systems, turbos, transmissions, exhaust brakes, and much more, BD has all the parts you need to get your Diesel truck performing with the best of them! It doesn’t matter whether you have a Powerstroke, Cummins, or Duramax engine under the hood, BD has the right product for your truck, and we have it for you, in stock! To get maximum power out of your truck, you can’t settle for anything less than the best, and BD Power has the best aftermarket parts to get impressive performance gains in horsepower, torque, fuel efficiency, and more! With quality products such as the Cam Caster Adjuster Kit, the Duramax Black FleX-Plate, Duramax Variable Vane Exhaust Brake, and more BD really has the highest standards in efficiency and power, in the world of aftermarket auto parts. With a BD system installed onto your Diesel Truck, you’ll be truly enjoying the maximum power your vehicle can reach. The OC DIESEL Organization takes pride in going the extra mile for its customers and believes in employing people who strive to set the performance aftermarket service industry standards higher by applying simple business principles like, "Customer Service". While a big part of it is delivering the most current Diesel Performance Parts and Aftermarket Products from leading manufactures such as BD Power, OC DIESEL obtains important end-user product information from customer reviews and is consistently a profound tool and key source of knowledge to customers who are interested in purchasing similar products. Be sure to tell us how you like your BD Power Products online in our review section. Call OC DIESEL, the BD Power experts at (714) 848-2170. Buy NOW and SAVE!